The Chronic by The Bulldog Seeds is a feminised cannabis seed that has its origins in the cross of a Super Skunk and a Church. 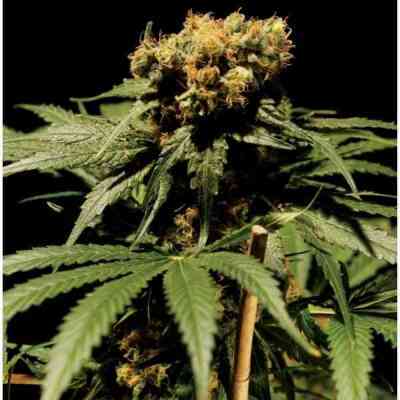 It is a small/mid-sized and sturdy Indica-dominant marijuana plant that grows strong and powerful, delivering numerous big, compact and resinous buds in a really quick and easy way. The flavour and aroma of The Chronic are pronounced, with hints of lemon, exotic wood and species. It provides a potent and balanced effect of long duration, both physical and cerebral.